This hands-on immersion is an experiential program that will change your practice and your teaching. You will deepen your own yoga practice, breakdown foundational poses, and gain an understanding of the energetic flow within all postures. 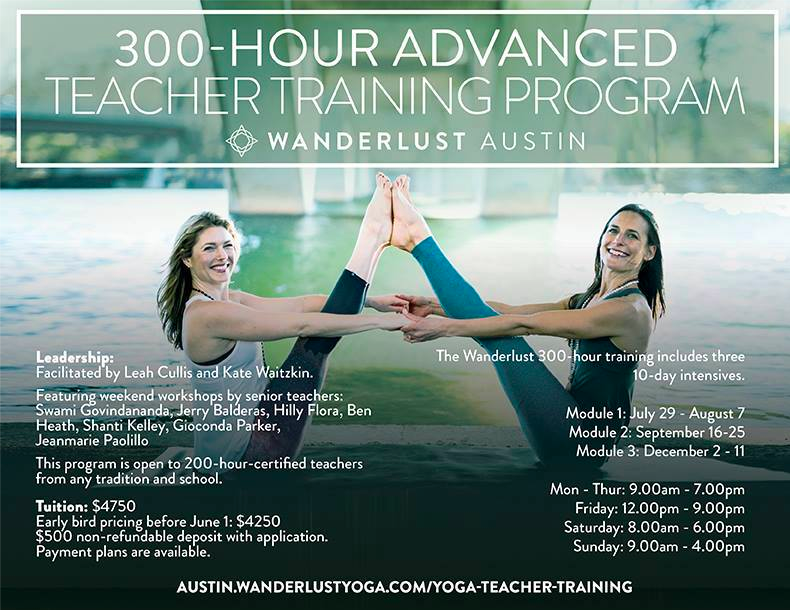 Wanderlust Yoga Austin is thrilled to announce our 300-Hour Advanced Teacher Training Program. 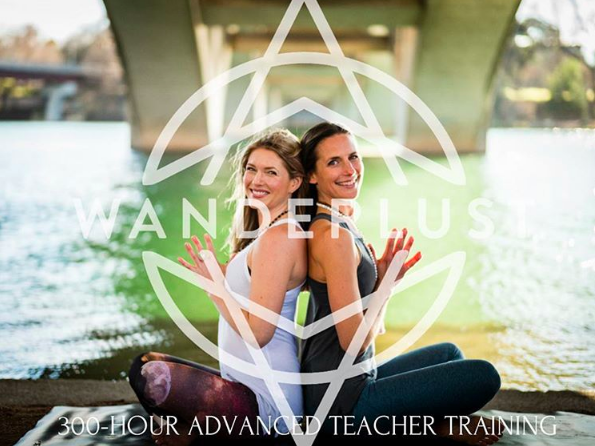 In this program you will refine and master the material introduced in your 200-hour teacher training, explore in greater depth the many pathways of the practice, and further develop your unique voice and style as a yoga teacher. This 5-month program will equip you with a broad and deep set of skills and insights to integrate into your practice and your teaching. The “advanced” aspect of this program is not simply about advanced postures, but about moving beyond knowledge and into a practiced and embodied understanding of the topics we consider essential to your growth as a professional yoga teacher. This program is designed around a strong and supportive mentor-apprentice relationship, and our intention is to create an environment of focus, exploration, deep understanding, and growth. We have assembled a team of senior teachers, mentors and experts to offer a comprehensive, well-rounded program steeped in lineage, tradition, and years of dedicated studentship and teaching. Our teaching team will guide you into the practices that are at the heart of yoga and prepare you to lead your students with confidence, compassion and skill.